Section 1031 refers to an IRS tax code that allows investors and businesses to reduce their tax liabilities when selling certain property. A 1031 exchange helps defer capital gains taxes by selling your investment property and rolling your capital gains over to purchase a like-kind property. Usually, you have 180 days to purchase the new property. When looking for a like-kind property, check out Roofstock, an online marketplace that allows users to invest in leased single-family rental homes. 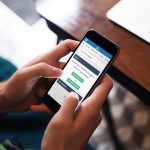 Roofstock provides turnkey solutions where investors can start earning as early as day one and receive a property manager as part of its service. Set-up fee starts at 0.50%. A 1031 exchange defers taxes on the sale of commercial property. This “property” can be both a business or a real estate investment. Investors can sell a property and reinvest their capital gains in a similar property (known as a like-kind property) of equal-or-greater value, avoiding capital gains taxes and other taxes. It’s required that you identify the like-kind property within 45 days and purchase it within 180 days. Although 1031 exchanges are used for businesses, they’re most commonly used for real estate. 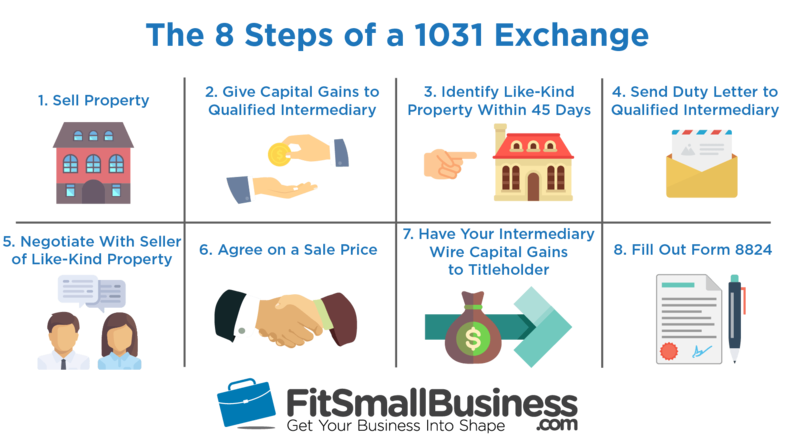 There are generally 8 steps for completing a 1031 exchange. However, a professional will typically complete the steps for you since it’s a complicated process. We discuss the types of professionals to rely on during a 1031 like kind exchange in the section below. For example, when a real estate investor sells a property, the profit made on the sale is called “capital gains.” This represents the owner’s equity earnings in the property. All capital gains are taxed at either the short-term capital gains rate between 10% – 37% for profits made on a sale within one year, or the long-term rate between 10% – 20% for profits made on a sale after one year of purchasing. Business owners and real estate investors can defer these capital gains taxes if they use the 1031 tax exchange and invest in a like-kind property, which is a property of similar type (but not necessarily quality or value). This means that a 1031 exchange can save you as much as 37% of the profits you make on the sale of a property. However, this isn’t common since 1031 exchanges are typically for long-term investments. We discuss this further in the rules section. Further, a 1031 exchange also lets you defer your depreciation recapture, which is a procedure for collecting income tax on the amount of depreciation claimed on your property. The taxes on depreciation recapture are typically charged at 25%. This means that a like-kind exchange can also save you as much as 25% on the depreciation of your property. Finally, a 1031 like-kind exchange can even help you avoid state taxes. For example, some states require that either a buyer or seller pays state income taxes when a property is sold, known as state mandatory withholding. Property transferred in a 1031 exchange, however, can receive an exemption. For more information, you can read this detailed list on state taxation. Savings in a 1031 exchange are considered “deferred” because you’ll eventually pay a capital gains tax, depreciation recapture, and state taxes if you sell the new property. However, you can avoid these taxes indefinitely if you don’t sell, or if you use the like-kind exchange again and trade-up. For more information on how a 1031 like-kind exchange works and how it can benefit you, check out our section on the companies that can help you. A 1031 like-kind exchange is best for both real estate investors and business owners. This is because the property allowed in a 1031 exchange can be either real estate or a business. However, real estate investors and business owners have different requirements they must meet in order to qualify for a 1031 exchange. Further, 1031 exchanges are much more common with real estate investing. To give you a sense of the size of real estate exchanges, there will be an estimated 65 billion in equity invested in 1031 real estate exchanges this year. With debt, the total value of real estate purchased in a like-kind exchange is expected to be over 180 billion. And this doesn’t even take into account institutional investors. 1031 exchanges are most often used by real estate investors. If you are thinking of selling an existing rental property, for example, and want to buy another like-kind property, then a 1031 like kind exchange is a great option because you can defer taxes on your sale. Generally, any real estate property held for the productive use in the trade or business or for investment qualifies for a 1031 exchange. This means that commercial real estate or investment can be exchanged for residential real estate investments and vice versa. For example, a shopping center can be exchanged for a multifamily property or apartment building. In cases like these, investors will typically use the profits as a down payment and cover the rest of the purchase with multifamily financing or an apartment loan. There are also 1031 marketplaces that offer a diversified portfolio of real estate investments that are considered “like-kind” to real physical property. So, you could feasibly exchange your investment property for a pool of investment properties and take advantage of passive income. This is attractive to investors who don’t like the hands-on approach of being a landlord. What’s more, most long-term investors looking to execute a 1031 exchange consider a turnkey real estate property, which is a rent-ready rental with existing tenants already in place. This is beneficial for investors who want to find a cash flow positive property quickly before the 45-day identification window expires. For more information, you can read our guide on the best turnkey real estate companies. There is no minimum “hold time” with a 1031 exchange, however almost all properties are long-term investments so are taxed at the long-term capital gains tax rate. Although there isn’t a set hold time, a 1031 exchange is not meant for fix-and-flippers, since it’s supposed to be used on long-term investment properties. If you’re a business owner thinking of selling your business and investing in another one, then a 1031 exchange might also be right for you. A business is typically comprised of real property like real estate, personal property like tangible and intangible assets, and goodwill. Under a 1031 exchange, real property and personal property can be exchanged for like-kind properties. This means that you can only exchange real estate for real estate and tangible assets for tangible assets. Goodwill doesn’t qualify for a 1031 exchange. The definition of like-kind real estate is fairly loose. For example, a business can exchange its commercial property for residential property and vice versa. Like-kind tangible assets are a bit more restricted and include depreciable tangible property and depreciable intangible property. Unfortunately, non-depreciable property are not all considered like-kind. This means that you might not be able to exchange a depreciable asset like a machine for a patent or something similar. Overall, it’s easiest to sell and purchase similar businesses with similar assets. Two restaurants with similar commercial properties and equipment, for example, would be a good candidate for a 1031 exchange. Completing a 1031 exchange can be difficult so you shouldn’t attempt it without the help of a professional. For example, business owners and real estate investors will typically want to work with 1031 exchange firms, intermediaries, and marketplaces to help facilitate their like-kind transaction. Working with these people ensures that you comply with the all of the IRS’s requirements. A 1031 exchange firm is a firm that is dedicated to assisting you with 1031 like kind exchanges. Unlike a CPA or a financial planner, their sole focus is on 1031 exchanges so they know the ins and outs and the IRS requirements. This firm will be your intermediary and your advisor and is beneficial if you want help during the entire process and aren’t sure who else to turn to. A 1031 exchange firm can help facilitate your 1031 exchange in lieu of a qualified intermediary. Equity Advantage is a 1031 exchange firm that helps real estate investors and business owners successfully complete a like-kind exchange, acting as both an advisory and a qualified intermediary. This is extremely beneficial seeing as there are many nuances involved with section 1031 of the IRS tax code. A 1031 exchange intermediary is simply a company that facilitates 1031 exchanges. These intermediaries don’t have to be licensed, insured or bonded, so it’s important to do your due diligence when choosing one. Some intermediaries focus solely on 1031 exchanges and others offer financial planning services as well. An intermediary is required to help facilitate the transaction. 1031 Corporation is a qualified 1031 exchange intermediary that specializes in reverse exchanges and improvement exchanges. For example, they can take temporary title of your replacement property until your existing exchange property sells or your replacement property construction is complete. They also help you find suitable properties to complete your exchange. A 1031 exchange marketplace is a platform that offers different types of investment properties and commercial properties for sale that can be purchased during your 1031 exchange. They are set up solely for real estate investors who want to purchase a property to fulfill their 1031 exchange but aren’t sure where to find the right property. Many of these marketplaces even offer a portfolio of properties that qualify for a 1031 exchange. Realized Holdings is a 1031 exchange marketplace that lets you exchange a physical real estate property for a portfolio of diversified real estate assets. This is great for investors who don’t want to act as a landlord and want to take advantage of both diversification as well as passive income. To help you fully understand a like-kind exchange, let’s use a high-level example. Let’s imagine that you’re a real estate investor who purchased a residential investment property 2 years ago for $50k and own it outright. You get an appraisal done on the property and find out it’s currently worth $100k, which, if sold, would equal roughly a $50k capital gain and a $5k capital gains tax. Knowing about the 1031 like-kind exchange, you decide that you’d like to sell your existing property and purchase a larger investment property with your capital gains, thus deferring capital gains tax, depreciation recapture, and possibly even state taxes. You first work with a standard real estate agent to sell your property for $100k with $50k in capital gains. As soon as the title is transferred the 45 identification window starts. It’s during this time that you’ll need to identify a like-kind property to purchase. You can find a qualified intermediary through a local escrow officer or by searching the database of the Federation of Exchange Accommodations. 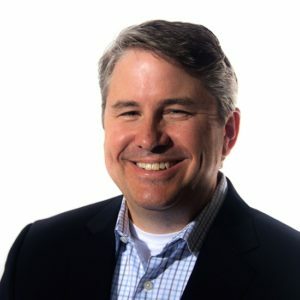 I spoke with David Wieland, Founder and CEO of Realized Holdings, who compared a qualified intermediary to an escrow account that holds onto your $50k in capital gains when you sell your property. You’ll have 45 days to identify a like-kind property and send the qualified intermediary a signed duty notice, which is a letter listing information on the specific property you’ve identified. Up to 3 properties can be identified. Once you’ve submitted this letter to your qualified intermediary, only properties included in the list can be used in the exchange. Let’s say that your real estate agent finds a like-kind property for $150k, which you “identify” by writing a signed duty notice to your qualified intermediary, who verifies that it’s within the 45-day window. From there, you’ll have to close on the identified property within six months of the initial sale. If the seller agrees to sell for $150k, you then send your qualified intermediary instructions on where to wire the $50k in capital gains, usually a title company. The remaining $100k will have to be financed by either debt or additional equity. This completes the 1031 like kind exchange, deferring $50k in capital gains and therefore $5k in capital gains tax. It’s important to understand that qualified intermediaries don’t report anything to the IRS. However, the IRS might audit you, in which case you’ll need the documents verified by the intermediary to prove you successfully complied with the IRC section 1031. In order to defer all capital gains taxes and depreciation recapture through a like-kind exchange, your full profits must be reinvested and the new property must be of equal-or-greater value to the old. This means that both the net market value as well as the equity in the new property must be at least equal to the property that was sold. However, it’s still possible to reinvest a portion of your capital gains or purchase a new property at a lower value than the one sold. If this is the case, the difference is known as “taxable boot” and is taxed at your capital gains tax rate. A 1031 exchange also allows you to reinvest your capital gains from a single property into multiple properties, and vice versa. For example, you could sell a property for $100k and invest the capital gains in 4 properties worth $25k. Alternatively, you could sell 4 properties for $25k and invest in a single property worth $100k. It therefore doesn’t matter how many properties you exchange in and out of. Real estate investors, for example, will sometimes sell a property and use a blanket mortgage to purchase multiple similar properties. However, the only way you can fully avoid the capital gains tax is to go across or up in both value and equity. There are many 1031 exchange rules that a business owner or real estate investor need to know. These rules are typically used to regulate the types of properties allowable for exchange, the value of those properties, and the timing of the purchase and sale. In fact, these rules can impact your like-kind exchange and you should consult a qualified advisor. The first rule with a 1031 exchange is that the property you sell and the property you purchase have to be of “like-kind.” This means that the properties have to be “in the same nature and character, even if they differ in grade or quality.” This rule can be very general and the IRS doesn’t generally give examples of what like-kind means so it’s best to consult a tax professional. Like with property identification, you’ll have 180 days from the sale of your property to purchase your new property. This means that the deal has to actually close within 180 days of the initial sale and the qualified intermediary has to wire your capital gains to the title holder, or in most cases the title company that is coordinating the property closing. In order to defer all of your capital gains and avoid paying the full capital gains tax, you’ll need to reinvest your full equity in a new property of equal-or-greater value to your old one. If you don’t, the difference in equity is known as the “boot,” which is taxable at your normal capital gains tax rate. While there is no strict rule on the time you need to hold your initial property, the IRS typically likes to see that the property has been held for greater than a year. There are cases when a property held for less than a year qualifies for a 1031 exchange. However, this only occurs when the IRS deems that the property was intended to be held for greater than 1 year. The IRS wants the property being sold to be a long-term investment like a buy-and-hold property and not a fix-and-flip property. The most common type of 1031 exchange is what’s known as a delayed 1031 exchange. However, there are two other 1031 like-kind exchanges, a construction/improvement 1031 exchange, and a reverse 1031 exchange. Each can be beneficial in specific situations and are right only for certain kinds of people. A delayed 1031 exchange lets a business owner or real estate investor sell their property first and then look for a similar replacement property. A suitable replacement has to be identified within 45 days with a signed notice to a qualified intermediary, and the sale of the new property has to close within 180 days. A delayed 1031 like kind exchange is the most common type of like-kind exchange. It can be used by both business owners and real estate investors. Just keep in mind that the new property must be of the same or greater value than the property being sold. Those who use a delayed 1031 exchange can defer their capital gains taxes, depreciation recapture, and sometimes state taxes to a later date. Let’s take a look at an example to get a better sense of how a delayed 1031 exchange works. If you want a more detailed example that takes into account your net adjusted basis, debt and depreciation recapture, you can look at this example below. Imagine that a real estate investor purchased a one-unit income property for $100,000 five years ago and owns the property outright. Currently, the investor knows that the property is worth $120,000, meaning that he has unrealized capital gains worth ~$20,000. Knowing about the 1031 exchange, the investor wants to sell the property and reinvest the capital gains in a two-unit property with more investment potential. He works with a real estate agent and sells his investment property for $120,000. Since he purchased the property for $100k, this means that his capital gains are $20,000. The investor now has to give his capital gains to a qualified intermediary and has roughly six weeks to identify a similar property to purchase. Knowing that he has to find a property that’s worth at least $120,000, he works with his real estate agent and finds a 2-unit property that fits his needs for $150,000. Satisfied, he writes a signed duty letter and gives it his qualified intermediary as identification for the 1031 exchange. The investor now has six months to close on the new property. If he wants to defer the full amount of his capital gains tax and depreciation recapture, he’ll have to invest the full $20k into the new property. The remaining $130,000 ($150,000 – $20,000) will have to be financed with more equity (in the form of out-of-pocket cash) or with a loan. If the investor is able to purchase the new property within the 180-day window, he can successfully fill out IRS form 8824 and send it along with his year-end tax documents. This would save him between $2,000 – $4,000 in capital gains tax, assuming a 10% – 20% long-term capital gains tax rate. The same logic applies for 1031 exchanges when financing is required for the exchangor. However, the process is more complicated. We discuss a detailed example that includes financing below. A construction or improvement 1031 exchange lets a real estate investor sell a property and use the proceeds to buy a similar property of lesser value, using the remaining money to make renovations and improvements. A new property has to be identified within 45 days and all construction/improvements must be completed within 180 days. If after the 180-day deadline the exchangor wasn’t able to complete renovations, the 1031 exchange would not be tax-deferred. Instead, such things as labor services and materials allotted to improvements or construction are not considered to be like-kind property and your capital gains are subject to tax. This means that your renovation budget can become taxable boot if you don’t finish in time. An improvement 1031 exchange is only available for real estate investors. Business owners will have to rely on either the delayed or reverse 1031 exchange. Let’s dive into an example of an improvement 1031 exchange. Let’s say that you purchased an investment property 5 years ago for $100,000 and own it outright. The current value of the property is $120,000. Knowing about the improvement 1031 exchange, you decide that you might want to sell your existing property and invest the capital gains in a larger renovation project. Looking at the basic math, you know that if you sell your property for its fair market value (FMV) of $120,000, you’ll earn a total of ~$20,000 in capital gains. You decide to work with a real estate agent and sell your property for the full FMV, give the capital gains to a qualified intermediary, and look for a renovation project. Knowing that the purchase price plus renovation budget has to be at least equal to $120,000, your real estate agent finds a dilapidated investment property that’s selling for $80,000. Doing back of the napkin math, you know that that leaves you at least $40,000 in renovations. Satisfied, you write a letter to your intermediary, invest the full $20,000 in capital gains, and work with your real estate agent to close on the property quickly so you can start renovations. Your contractor estimates $40,000 in renovations and a six-week timeline. Fortunately, everything finishes on time and you complete renovations safely within the 6-month window. From there, you can fill out IRS form 8824 and send it along with your year-end tax documents. Like the example above, this successful execution of a 1031 exchange would save you between $2,000 – $4,000 in capital gains tax, assuming a 10% – 20% long-term capital gains tax rate. When it comes to financing, many real estate investors will use a short-term hard money loan like a rehab loan to finance the purchase and improvements. This is because renovation projects typically don’t meet the stricter qualifications of a permanent mortgage. Once the 180-day timeline is over and renovations are complete, you can refinance to a long-term mortgage and pay off the short-term loan. For a list of hard money lenders, read our list of the best hard money lenders. The same process applies when more complicated financing is involved. We discuss a detailed example of a general 1031 exchange that includes financing below. Reverse 1031 exchange is the opposite of the delayed exchange. You can buy a new property first and then sell the old property. You have 45 days from the purchase of the new property to identify the old property for sale with a letter to an intermediary. The old property must be sold within 180 days. A reverse 1031 exchange is the least common type of exchange. Unlike the delayed exchange, the reverse 1031 exchange lets a person purchase a new property before selling their existing one. Once a new property is purchased, a person has 45 days to identify an existing property of theirs to sell and 180 days to actually sell it. A reverse 1031 exchange is most commonly used to time markets or purchase a new property before you have a buyer for an existing one. For example, a real estate investor can purchase a new property when the market is low and sell an existing property when the market spikes, earning more profits and deferring the capital gains tax. Let’s look at a detailed example of a reverse 1031 exchange. Using a business as an example, let’s say that there’s a business owner who’s owned her business outright for 10 years, has no debt or property, and knows from a business valuation calculator and a deep-dive into her financial statements that it’s currently valued at $100,000. She decides that she wants to sell her business and purchase a larger one. She knows that if she removes her initial investment in the business her capital gains would be $50,000. The long-term capital gains tax would, therefore, be between $5,000 – $10,000, assuming a 10% – 20% tax rate. However, she wants to use a 1031 exchange to defer the capital gains. She works with a business broker and finds a new company for sale at $150,000. However, the new business has a lot of brand equity and there are multiple buyers interested. Afraid she’ll lose out on the opportunity, the business owner decides to use a reverse 1031 exchange to quickly purchase the company before selling her existing company. Qualified intermediaries will often work with a partner to help purchase the new property first. Once the old business is sold, the capital gains are used to repay the intermediary or the partner. In cases like these, you’ll typically have to pay interest, which is an expense that isn’t tax deferred. Once the new business is purchased, she has six weeks to identify a seller for her old business and has six months days to close on the sale. If she sells within the 180 days, the $50k in capital gains is considered part of the purchase of the new business. She can then fill out IRS form 8824 and avoid the $5,000 – $10,000 in capital gains tax until a later date. Of course, the process gets more complicated when financing is included, such as seller financing. To help you understand the nuances, we have a detailed example of a 1031 exchange that includes financing below. Most 1031 like-kind exchanges involve financing on the exchangors end. This means that a person might have a loan on an existing property and also need a loan to purchase the new property. The addition of financing products such as commercial real estate loans changes the process a bit. Let’s look at a detailed example of a delayed 1031 exchange when financing is present. For example, a real estate investor purchased a 1-unit income property for $100,000 10 years ago. The property originally had $80,000 in financing and 20% as a down payment. Currently, the investor knows that the property has a $120,000 fair market value (FMV) and that his existing loan balance is $60,000. Calculate net adjusted basis – Equal to the original purchase price plus capital improvements, minus depreciation. For the sake of this example, there were no capital improvements and the depreciation was calculated on a straight line at $1,500 per year for 10 years. Calculate the actual capital gain – Equal to the sale price minus the net adjusted basis and any costs of selling. For this example, let’s assume that there are $5k in miscellaneous costs of selling. This means that the investor’s net adjusted basis is equal to ($100,000 purchase price) – ($1.5,000 depreciation x 10 years), which equals $85,000. The actual capital gain would therefore be equal to ($120,000 sale price) – ($85,000 net adjusted basis) – ($5,000 cost of selling), which equals $30k in capital gains. The capital gains tax would therefore be equal to ($30,000 capital gains) x (15% capital gains tax) + ($15k depreciation) x (25% depreciation recapture), which equals $8,250 in capital gains taxes. 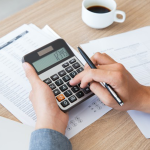 You can use this capital gains calculator to calculate your capital gains tax. Assuming a loan-to-value (LTV) ratio of 80%, he knows he can go to his existing mortgage lender and ask for a $150k loan with $30k as a down payment, equal to a maximum purchase price of $180,000. Once the investor sells his existing property, he has 45 days to identify a new similar property to purchase with a letter to a qualified intermediary. Knowing his max budget of $180,000, he works with his real estate agent to find a two-unit property that fits his needs. If he does, he has 180 days from the original sale to put in an offer, have his intermediary send his capital gains to the title company, close on the new and similar property, and defer the capital gains tax and depreciation recapture of $8,250. What is the 1031 Tax Form? The correct IRS form for a 1031 exchange is Form 8824. It’s a good idea to consult with your tax professional when filling out this or any other tax-related form. Can You Do a 1031 Exchange on a Primary Residence? No, a 1031 exchange can only be done on an investment property. However, it can be a commercial or residential investment property so it may be a property you rent out or a property you use for a business. The 1031 exchange rules are governed by IRS tax code section 1031. They include such rules as the like-kind rule where the property you sell must be the same type of property that you buy. Other rules are the property identification timing rule, the property purchase timing rule, property value rule and the holding time rule. If you’re a real estate investor or a business owner, you can defer capital gains taxes by rolling the proceeds from the sale of your investment property into the purchase of another approved property. Keep in mind, this tax is deferred and isn’t completely avoided. How Long Do You Have to Buy a Property with a 1031 Exchange? You generally have 45 days to nominate the potential replacement property and 180 days to acquire the new property. The timeline starts on the day that you sell the first property. A 1031 exchange is an IRS tax code that helps people save money on the sale of a property. This tax code can help a business owner or real estate investor save money on taxes. This is because a seller can sell a property and reinvest the capital gains in another property of equal-or-greater value, avoiding the capital gains tax. When reinvesting in another property, be sure to check out Roofstock, an online marketplace providing turnkey real estate solutions. Set-up fee starts at 0.5%. Hi Allison, thank you for publishing this article, which I believe will be helpful to many readers! I believe there are a couple of important corrections/additions to bring to your attention. “Step 1” in your process should read “Establish your 1031 Exchange” (with a Qualified Intermediary prior to closing on your earliest property involved). Starting a 1031 is not possible post-closing. A better statement for “Step 2” is: “Direct net equity (sale price less any debt paid off and less closing costs) to your 1031 Exchange account.” You may elect to take any amount of net equity in cash at closing, but it then becomes taxable “boot.” Directing only the capital gains amount into the 1031 may result in a much smaller amount of tax deferral than expected. Capital gain, the amount of appreciation of an asset/property, certainly triggers a tax liability upon sale, but depreciation taken triggers the same in the form of “depreciation recapture,” at a higher 25% rate! A 1031 Exchange allows for deferral of all federal, and typically all state, tax liability when the Exchanger does three things: 1) buys replacement property at least equal in value to what was sold; 2) reinvests all net equity; and 3) retains at least equal debt (or adds outside cash to offset debt reduced). Thank you, Ken, for reading the article and for your insightful comments. It seems like you know a great deal about the topic. There are several types of 1031 exchanges and different nuances and rules for each one. We will definitely take your comments into consideration when we update the article and when we write future content. Thanks so much. I’m glad you enjoyed the article. A 1031 exchange can be a great option for investors who want to defer their capital gains tax. We have an article coming soon on 1031 exchange providers so be sure and stop back on the site and check it out. I see that you’re in Australia, I used to live near Sydney and loved it. Great article! Everything is pretty clear and concise. I am working in an Airbnb property management company and this can be interesting for some property investors that we help.